A prominent collector and Dubai resident is auctioning the world’s rarest Star Wars action figure prototypes next month, a 33-piece collection which is estimated to sell for as much as $360,000. The owner, who wishes to remain anonymous, pursued only the rarest examples of the toys released in the late 1970s at the beginning of Star Wars mania. Officially titled “The Dubai Collection,” it includes mint condition figures for Luke Skywalker, Princess Leia and Han Solo and prototypes never intended to be seen by the public – including the world’s rarest Star Wars action figure. A prototype figure of a character named Bib Fortuna is one of five examples known to exist. Bib Fortuna first appeared on film in Star Wars: Episode VI – Return of the Jedi as gangster Jabba the Hutt’s sniveling chief of staff. Retaining its original stitched red cape, the figure is expected to sell for $30,000. 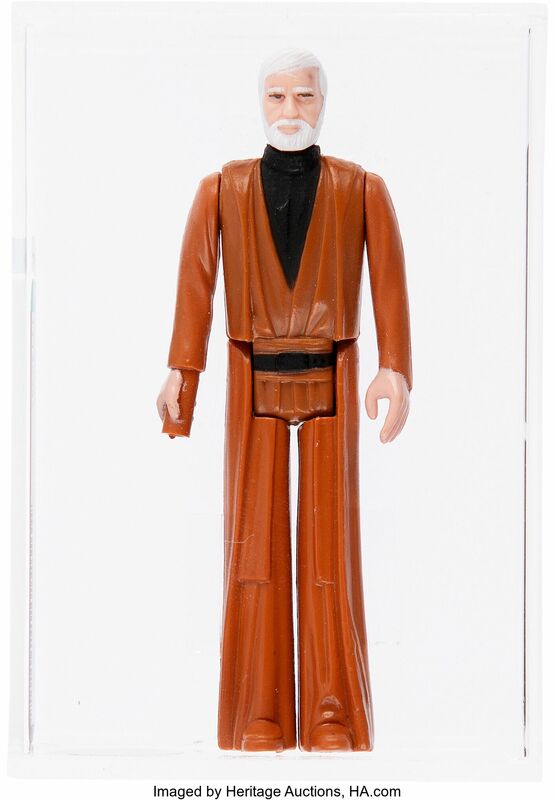 A 1977 hand-painted “first shot” prototype of Ben (Obi-Wan) Kenobi, made so early in the production process it does not feature copyright stamps, is estimated to sell for $25,000. A “first shot” prototype was created to test the functionality of a toy’s steel production molds. 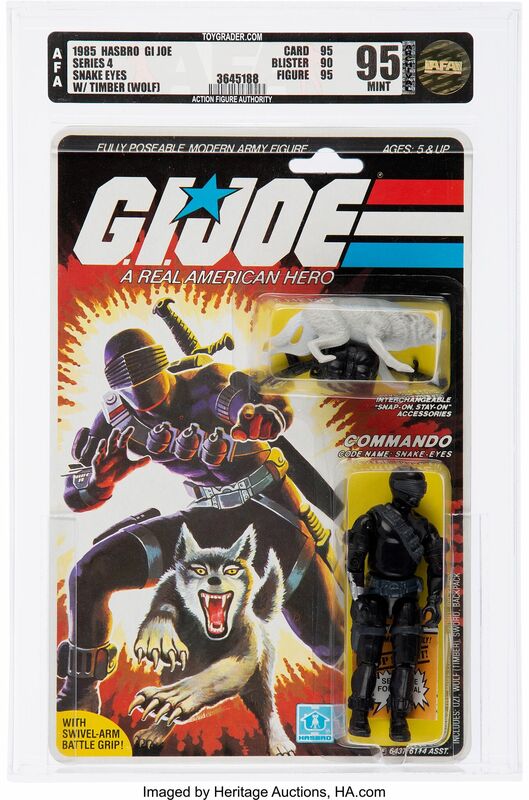 An independent third-party service graded the condition of every toy in the collection and deemed many of them to be the world’s finest examples known to exist. A rare 1977 action figure of villain Darth Vader (est. $25,000) features an early “double telescoping” lightsaber – a true rarity that is in high demand among collectors. A rare, 1985 Canadian edition of a character named “Yak Face,” only released in Canada and Australia, is unopened and attached to a bilingual backing card (est. $15,000). One unusual find features the original title of the space saga’s 1983 sequel. A printer’s proof card for the popular character, Boba Fett, refers to the movie as Revenge of the Jedi, which was ultimately changed to Return of the Jedi. It is expected the card alone may sell for $7,000. The single highest-graded example of the famous 1978 Luke Skywalker action figure, one of the most valuable of all Star Wars action figures. An “engineering figure” of fan favorite Boba Fett, from an ex-Kenner Toys employee who worked in the internal department that did testing on figures and comparisons with production figures. Engineering figures were used in the final stages of pre-production. The highest-graded example of a rare Jawa Star Wars action figure. Rare, early action figures from Masters of the Universe, G.I. 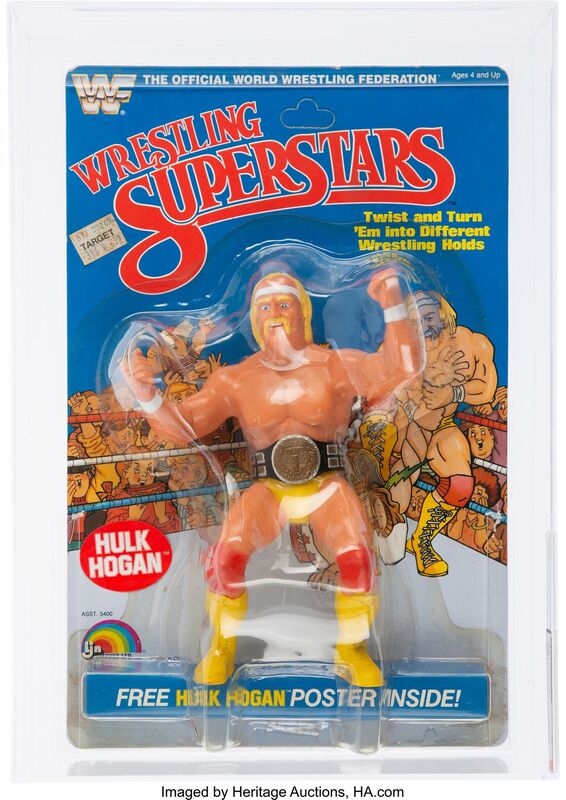 Joe and Wrestling Superstars toy lines that have become hot collectibles. 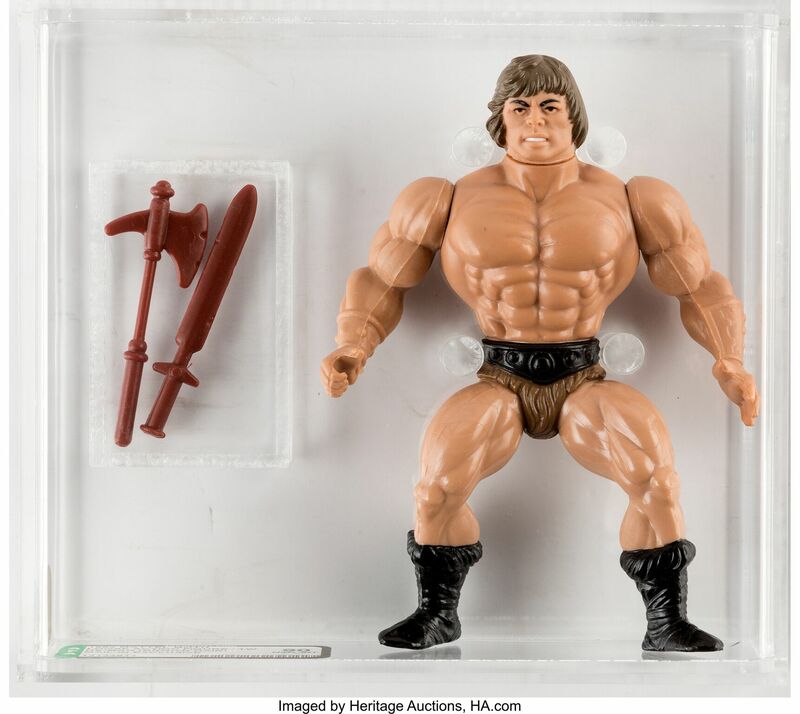 The collection of rare action figures crosses the auction block Aug. 2-4 in Heritage Auctions’ Comics & Comic Art Auction live in Dallas, Texas, and online on HA.com. looks like this happened like 2 months ago! I will have that wonder bread He-man one day.